Park High School is a leading edge school and technology college based in Stanmore. There are up to 2000 students aged between 11-18 years old in education at any one time. The modern workplace is wholly reliant on ICT and its imperative that students are given the opportunity to learn the skills to take them forward in life. 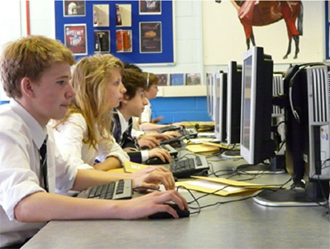 Park High School provides key ICT skills to all students both at secondary and sixth form level. Skills range from core user skills to in depth software and network structure knowledge. Providing large scale ICT education to 2000 students requires a robust and reliable IT core infrastructure. Park High knew they needed to bring in the expertise to design and implement such a solution. David Crawley, ICT Manager, explains “our systems were out-dated and we needed to design a new network with high availability. TSS were recommended to us by another school and they successfully won the tender for the project”. solution could be delivered at the right price and within the required timeframe. Brocade fibre switches. The planning and design phase took several months with a successful implementation through the summer holidays. TSS are meticulous about the planning and design phase as this is key to any project. If these elements are implemented correctly the installation phase becomes a lot easier which benefits both TSS and the client.